Central Government of India has decided to link all savings accounts with the Aadhar number to boost digital transactions and fulfill the dream of PM Narendra Modi to make India as a cashless economy. Reports said that already Modi has given a green signal to the proposal and the people those who don’t have smartphones will get benefits through this scheme. However, in a major decision that will give a push to Cashless economy at ground level, Government has decided to link all the savings accounts to the Aadhar card numbers for promoting digital transactions, especially at marketing points. Making India as cashless economy and increasing the use of digital payments is the dream of Narendra Modi and now fulfil his wish, the Government has planned this move. Moreover, it will be useful for 30 crore non-smartphone users who are unable to make digital transactions and depend on liquid cash. Government’s bold move on the demonetization of currency threw the people in deep troubles and still we are finding long queues at ATMS and Banks to get cash from their accounts. Even it has created a huge effect on small scale business persons and middle class people. Already PM Narendra Modi has approved the plan and asked Finance Minister Arun Jaitley and Electronics and Information Technology Minister Ravi Shankar to carry out the process. 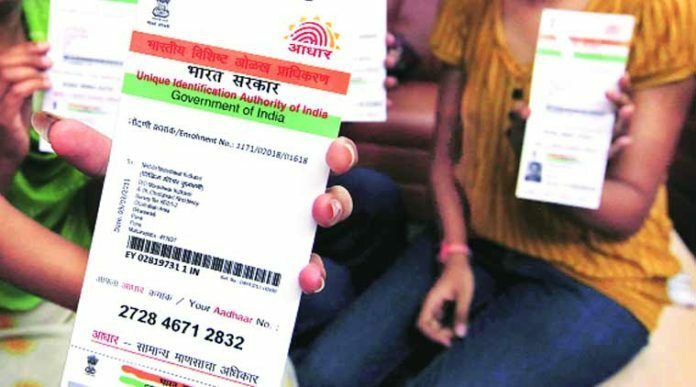 Specifying the advantages with this move, the sources said, even the non-smartphone users will also do cashless transactions and the required thing is devices that support Aadhar and biometric at retail points. If he/she wants to make a payment without a phone, just they need to login to their account through Aadhar bio-metric link and make the transaction. The Reserve Bank of India, RBI has in the process of setting up the Aadhar-enabled point of sale machines to the retail shops.